English into German translations of patents, scientific, technical, engineering, and IT-related texts. German into English translations of scientific texts and texts typeset in Fraktur. German and Austrian German localization and QA testing of software and mobile interfaces and websites by a native German speaker with a programming background. Scientific consulting in the areas of physics and mathematics as well as scientific data analysis by a PhD with ongoing consulting experience. 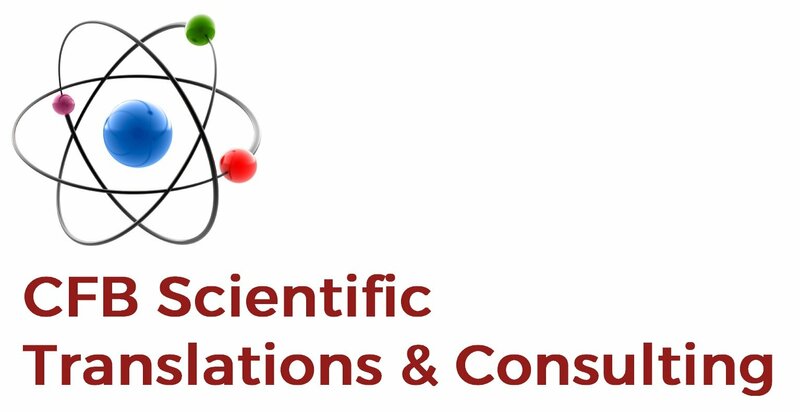 CFB Scientific Translations & Consulting is operated by Carola F. Berger, who holds a PhD in theoretical physics and a Master’s degree (Diplom-Ingenieur) in engineering physics. Carola published many highly cited research papers in the field of high-energy physics and worked at institutions such as Stanford University/SLAC and MIT. Carola is a native German (Austrian German) speaker with near-native proficiency in English. 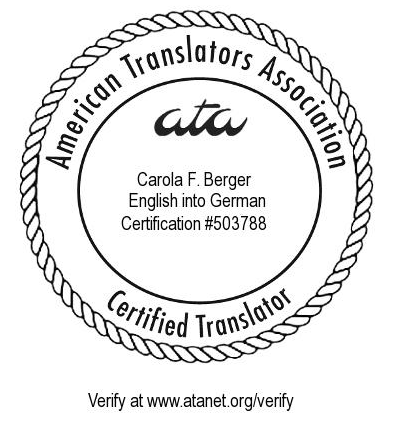 She has been working as a professional translator since 2010 and is certified by the American Translators Association (ATA) for translation from English into German. Furthermore, she serves as the Assistant Administrator of ATA’s Science & Technology Division and on the Board of Directors of the Northern California Translators Association (NCTA). You receive translations by an experienced translator with in-depth subject-matter knowledge who values professionalism and confidentiality. The texts are written by somebody with experience in the field, therefore, the translations speak directly to your target audience. Every translation undergoes several editing, proofreading, and QA steps to ensure its accuracy and readability.